Alireza Ansari, founder of the Iranian skateboarding collective TSIXTY, does a kickflip at a skatepark in Tehran. The West is often plagued with a rather blinkered view, coupled with a voyeuristic obsession, of Iran and its people. All too often, news reports, photo essays, and viral videos make the Internet rounds accompanied by breathless, slack-jawed commentary, expressing countless variations on the “Oh my god, they’re just like us!” theme. Young Iranians doing much of anything – with the possible exception of praying, yelling or scowling (the “Argo Hat Trick,” as it were) – seems to surprise most Western observers, be it buying Apple products, drinking alcohol, going out to coffee with friends, or women engaged in ninjitsu training. Earlier this month, Agence France-Presse made a big deal out of a group of young women practicing parkour in Tehran. Almost a year ago, France24 did the same thing. With this in mind, a video recently posted on the website of Thrasher, a San Francisco-based monthly skateboarding magazine, is a breath of fresh air. Beautifully shot and edited by Patrik Wallner as part of his “Visualtraveling” series, which follows professional skaters circling the globe in search of sick spots to shred, the half-hour film is a travelogue of Iran, Azerbaijan, and the Caucasus, as experienced by an eight-man international skateboarding crew. What is perhaps most remarkable is how the film treats young Iranian skateboarders; they are shown, not as outliers to be studied, pitied, analyzed or ogled at, but rather as compatriots in a worldwide community, bound by a common passion and respected as equals. We meet 27-year-old Mohammad Javad (MJ) Rahimi, who dubs himself the “first skateboarder in Iran” and now manufactures handmade skateboard decks out of his home in Tehran. MJ introduces us to the small, but growing, Iranian skateboarding community and proceeds to tour the country with his new comrades. 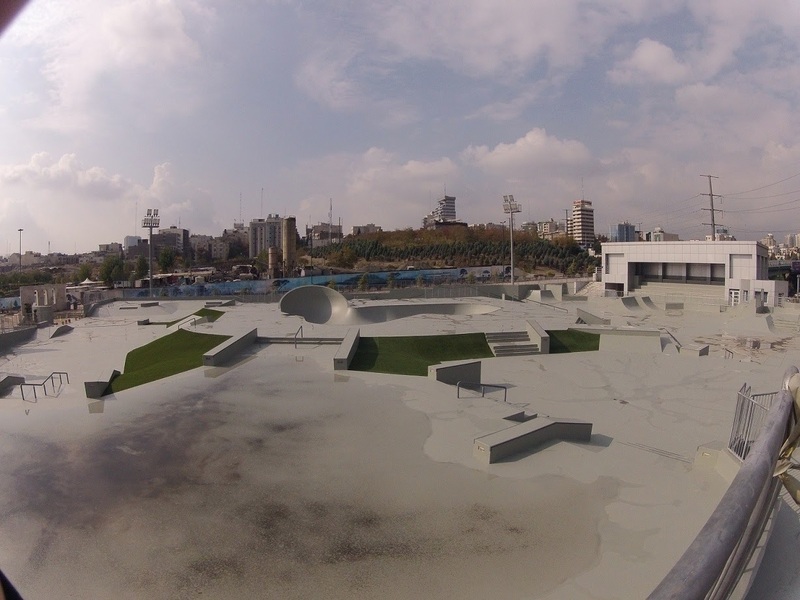 The footage of skaters rolling, grinding, jumping, kicking, sliding, and carving through the streets of Tehran is exquisite and remarkable, from one of Tehran’s state-funded skateparks in the Enghelab sport complex to public plazas like Azadi Square, in parks, back alleys, busy thoroughfares, down ramps and railings, over benches and stairs. The mastery of navigating urban topography is dazzling. Just as impressive are the locations, cinematography, and kickflips in places like Baku, Azerbijan and Tbilisi, Georgia. Check it out here. Be amazed. T-SiXTY has posted other videos of Iranian skaters celebrating “Go Skateboarding Day” in 2012 and 2013, as well as a 2012 skating excursion to the beautiful central city of Esfahan. And late last year, ABC News correspondent Muhammad Lila featured Ansari and T-SiXTY in one of his dispatches from Iran.